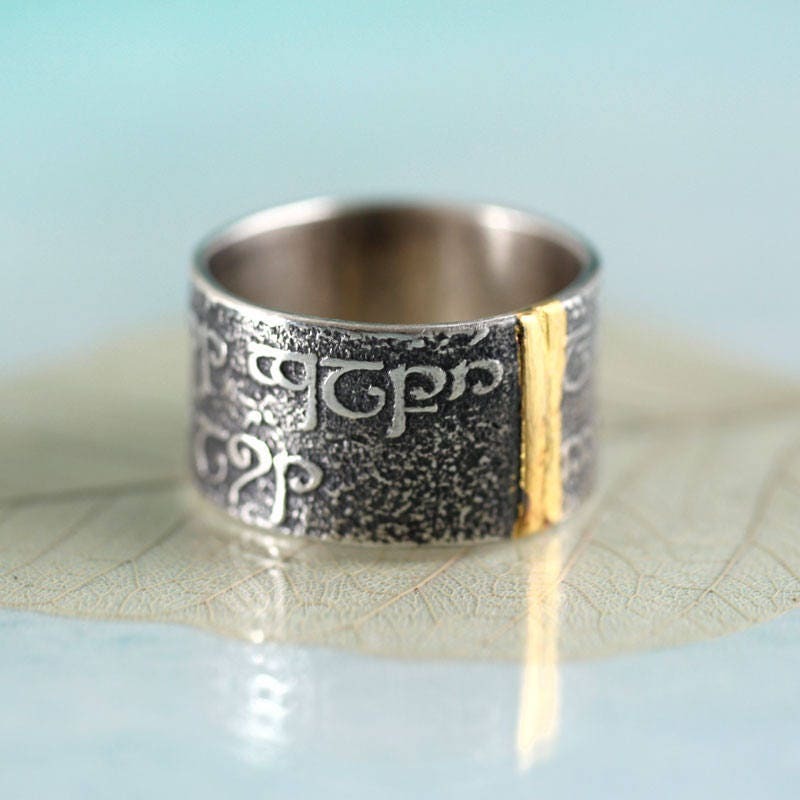 Wide statement silver ring with elven runes and a bar of gold running down it. 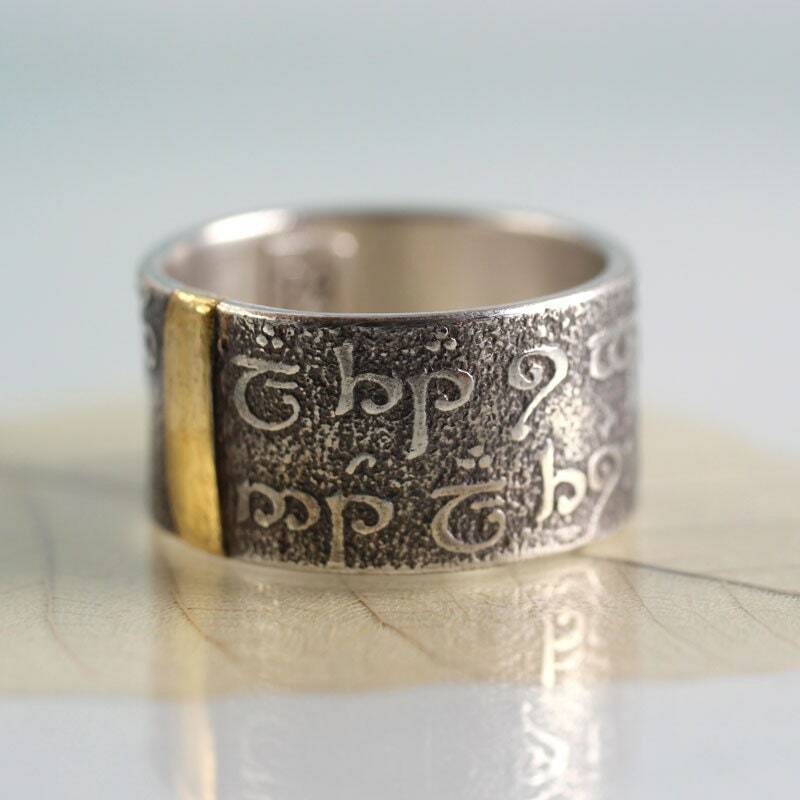 I have oxidized the ring heavily to make it look old like and artefact or heirloom. It also brings out and highlights the writing. 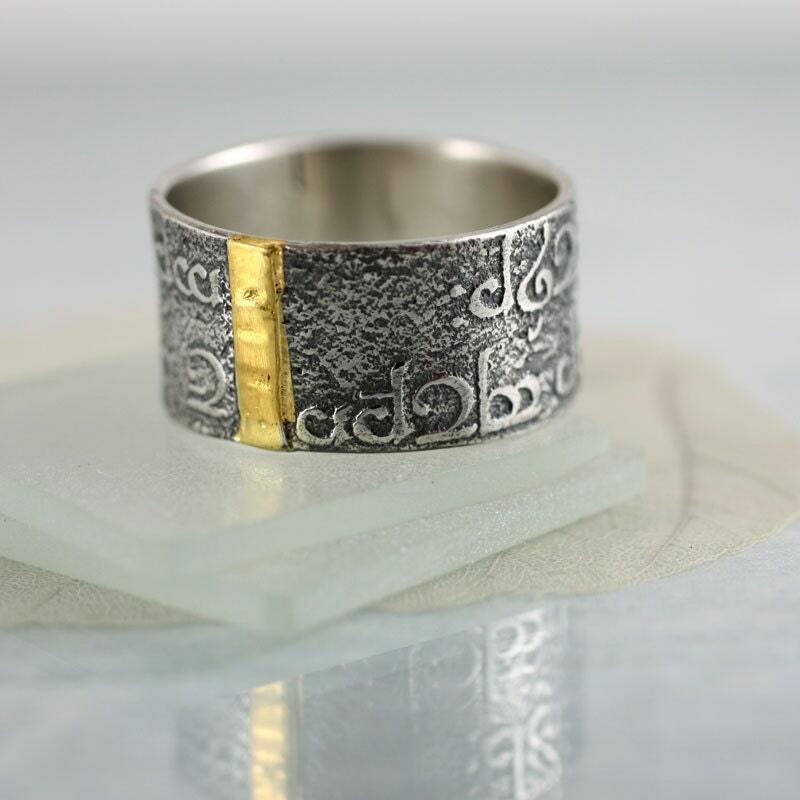 The gold is attached using a Keum boo technique - fusing it to the silver while hot - much thicker than gold plating. 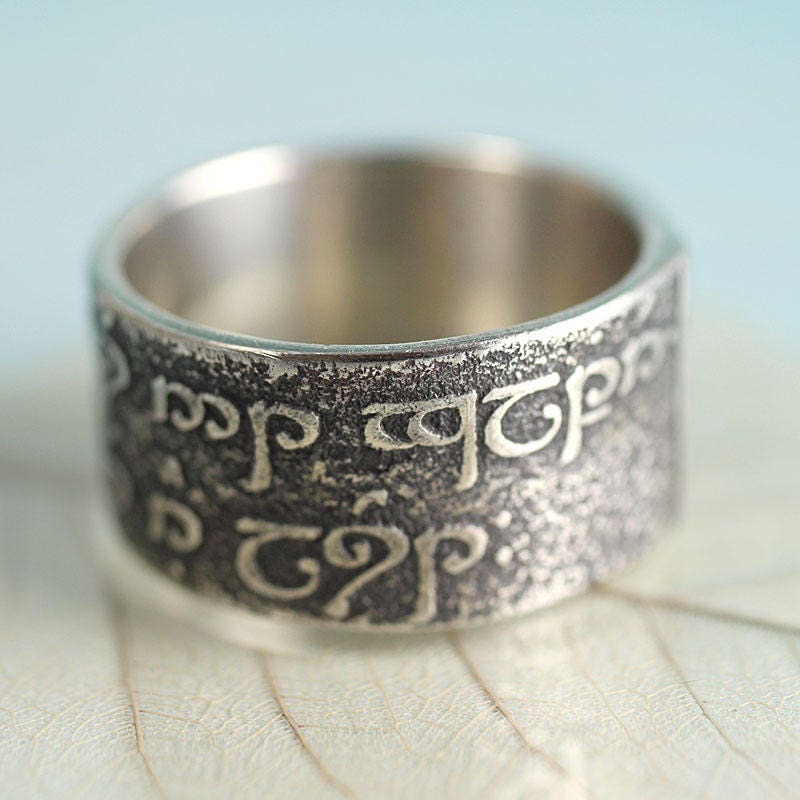 A ring for anyone who loves fantasy and elves. 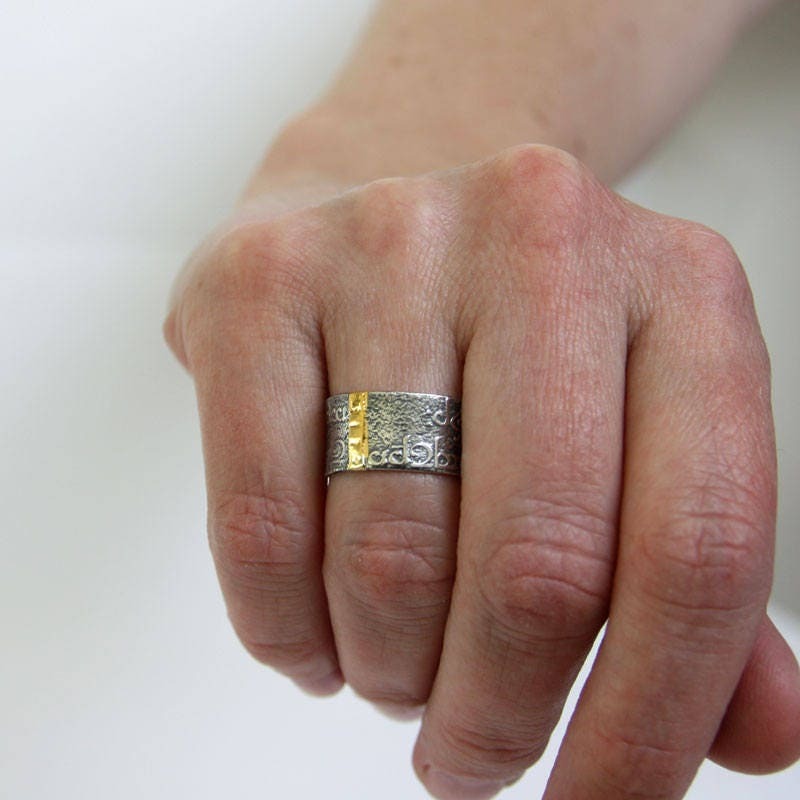 Do note that wider bands might need to be a size larger than skinnier rings to fit comfortably (1 US size, 2 UK sizes as a guide). 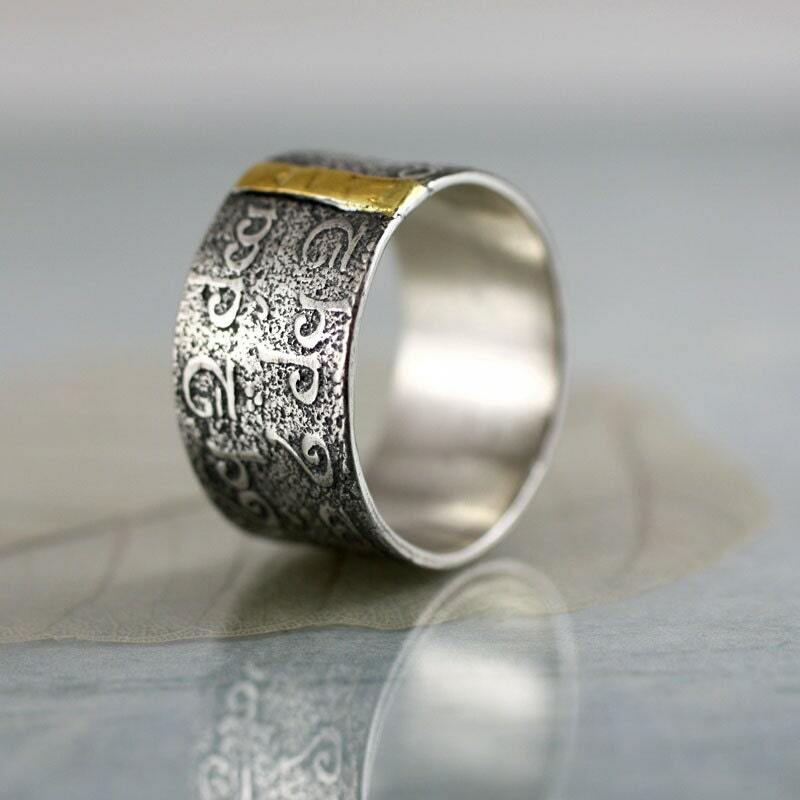 Made to order in ring sizes 6.5 to size US 9. 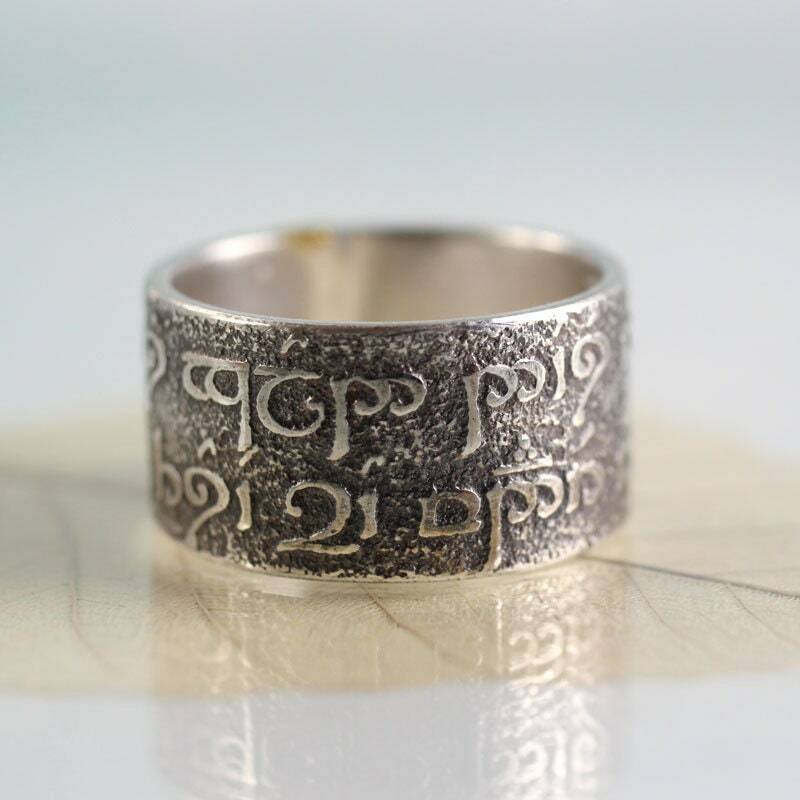 (Any larger than that and the weight will exceed 7.78 grams and the ring has to be hallmarked at extra cost. If you want one, contact me for a price in your size). Any smaller and it won't hold the complete text. 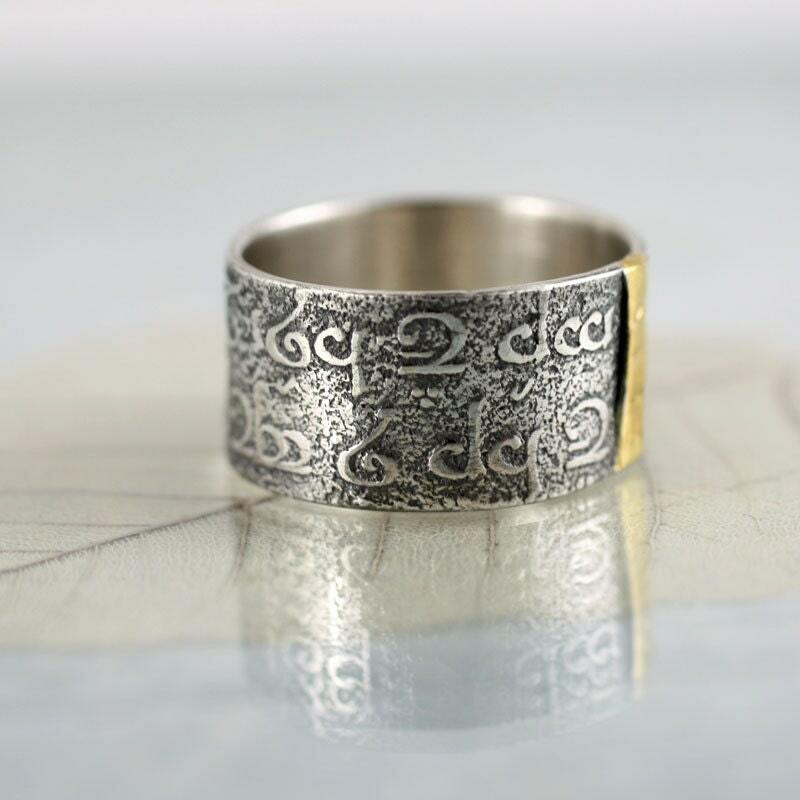 This ring is truly an elegant piece of jewelry: there is so much craftsmanship in it! Five stars - cause honestly it deserves more than that. Five stars also for the fast, and kind, and perfect customer care: indeed I had a very pleasant experience buying it too. 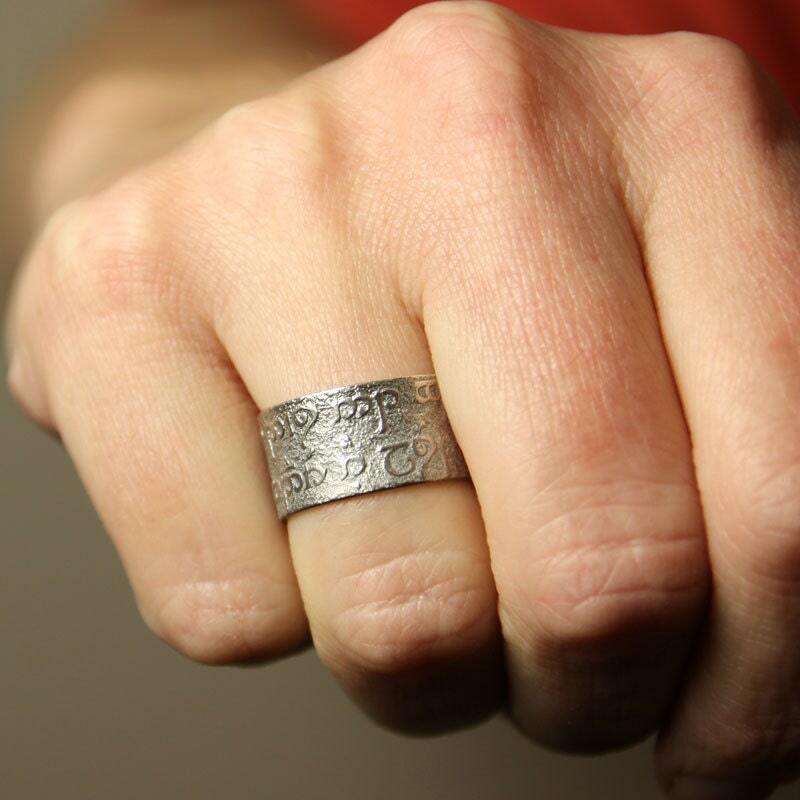 The shop's owner has been very kind, even when I made a mistake, and she helped me choosing the size for the ring: I was and am thankful. 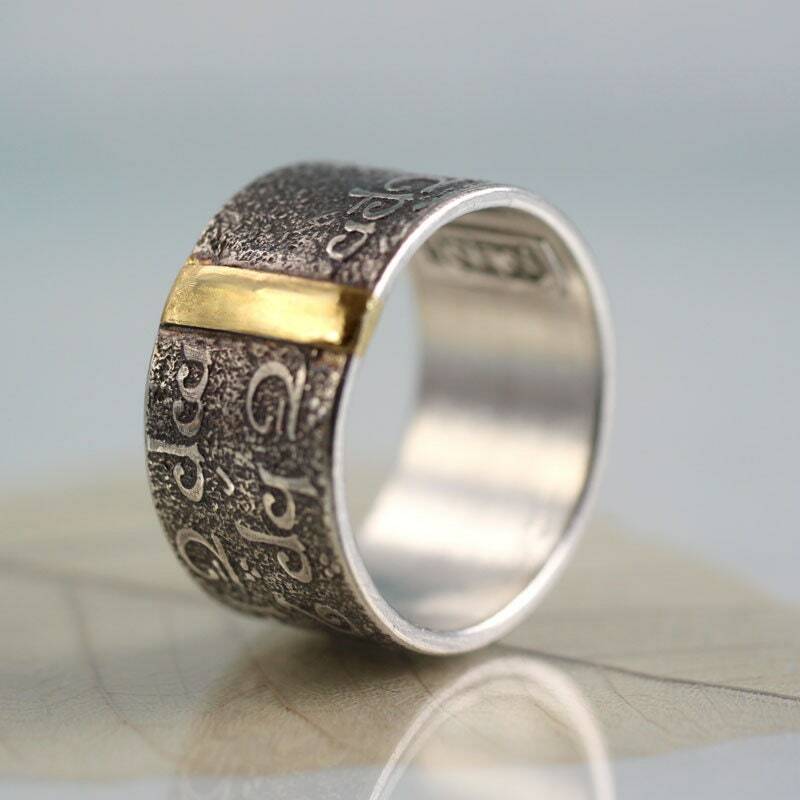 Sycamoon jewellery is highly recommended! Beautiful, perfect fit, excellent quality. Thank you very much!